KLKN-TV News, Oct. 2011 - Mayor Beutler Declares "Streets Alive!" KLKN-TV News, Sept. 2013 - City Prepares for Streets Alive! KLKN-TV News, April 2015 - City Plans to Host 5th Annual Streets Alive! KLKN-TV Midday News, Sept. 2015 - Interview: Partnership for a Healthy Lincoln, 2015 Streets Alive! KLKN-TV Evening News, Sept. 2015 - Interview: Partnership for a Healthy Lincoln, 2015 Streets Alive! 10 Health TV, June 2016: Mayor's News Conference, Streets Alive! KOLN/KGIN Healthy Everyday, Sept. 7, 2016: Interview with PHL and CHE on Health, Wellness Event, Streets Alive! KLKN ABC TV, June 22, 2017: Streets Alive! Chooses Belmont Neighborhood. KLKN ABC TV, Sept. 10, 2017: Seventh Annual Streets Alive! KZUM, Our Town - Aug,. 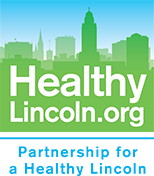 2014 - Interview: Partnership for a Healthy Lincoln, 2014 Streets Alive! KZUM, Our Town - Sept, 2015 - Interview: Partnership for a Healthy Lincoln, 2015 Streets Alive! KZUM, Our Town - Sept. 2016 - Interview: partnership for a Healthy Lincoln, 2016 Streets Alive! Sept. 2015 - Play in the Streets at Streets Alive! Nov. 2015 - Keep Your Game! Apr. 2016 - Mark Your Calendars for 2016 Streets Alive! Jan. 2018 - Health & the City: The More They Burn, The Better They Learn - Kids & P.E. March 2018 - Health & the City: Fruit Juice, Healthy or Not? Jan.2019: Health & the City: For Sweet Teeth, Rein in the "Sweet Tooth"
Mar, 2013 - Do We Really Need Sports Drinks? Sept. 2016: Michelle Welch: School Communities Celebrate Streets Alive! Sept. 2017: Ashley Carlson, Michelle Welch: Begin the School Year by Getting Active at Streets Alive! Dr. Bob Rauner: Do We Need Sports Drinks? Dr. Bob Rauner, Winter 2014: Don't Lose it Over the Summer! Dr. Bob Rauner, Summer 2015: Are Diet Sodas "Healthy"? Ashley Deisler, Julie Anderson, Fall 2015 2015 Streets Alive! Play in the Streets With Us! Dr. Bob Rauner, Spring 2016: Keep Your Game – Do Adults or Kids Really Need Energy Drinks? Ashley Carlson, Julie Anderson, Fall 2016: Fall 2016: 2016 Streets Alive! Dr. Bob Rauner, Winter 2016: How Much Physical Activity Should My Kid Get? Dr. Bob Rauner, Spring 2017: Which Health Information Can You Trust For Your Family? Ashley Carlson, Julie Anderson, Fall 2017: What is "Streets Alive!"? Ashley Carlson, Julie Anderson, Fall 2018: Play in the Streets at Streets Alive!